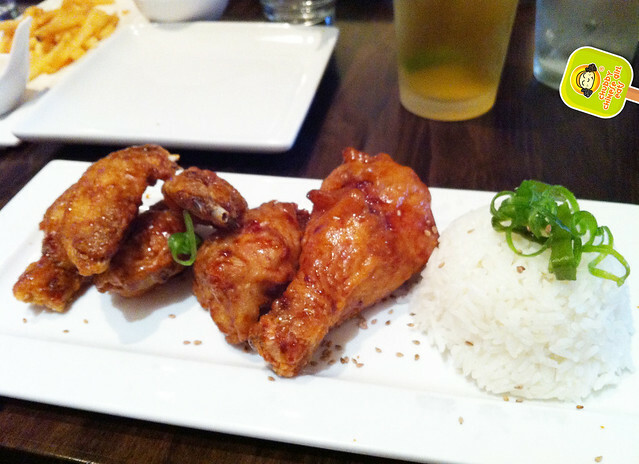 BonChon’s $8 lunch + 2 free wings for Check-in is sweet! Who can resist korean fried chicken. Extra crispy, with sweet soy garlic flavors that have been soaked up like a sponge. How? I don’t know, all I know is that I love these crunchy little bites. I’ve been a fan/addict for years. If by any chance, you’ve never had them, you must go and get some! The calorie splurge was totally worth it. Finger licking good. What a yummy way to take a break from the day. I’m a wings girl, they are smaller, so it has more coating and flavor. The drumsticks were never my thing, but boys seem to like it since they are more filling. The extra 2 wings from checking in helped. I was actually quite full. 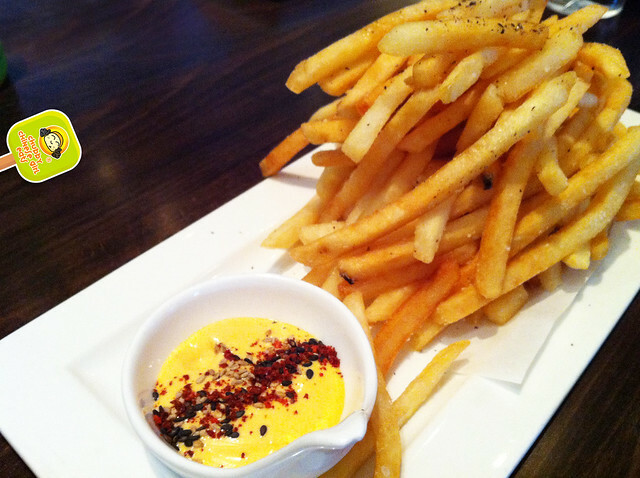 My lunch buddies and I also shared their addicting fries ($7) truffle oil, sea-salt, fresh pepper, spicy mayo. Worst part of this was the sharing part. LOL. Fragrant, salty, creamy and just a faint bit of spiciness. Fried wings with more fried food? What the heck! Why not! This might very well be, my new favorite lunch “treat”. Thought we also wanted the seafood pancake and they told us it would take 25min! which didn’t really make sense, but anyways, when in BonChon, chicken is the main event. And service was a bit off, but I’m gonna let that slide for the sake of good wings. Seriously, take back your lunch and stop eating at your desk! It does wonders =) But if you really can’t make it to lunch, these wings are great anytime.